I will be posting some new art very soon! Hello! Sorry I haven't been able to post for a little while--I have been in sunny Florida at the CHA show!! 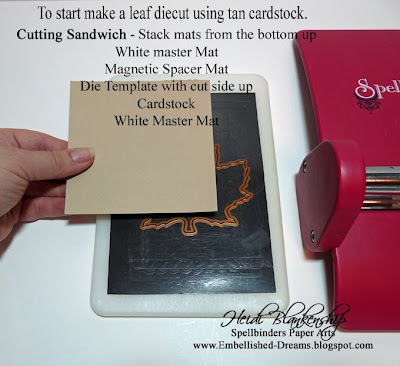 I was at the show with Spellbinder and I had a wonderful time working in the booth at the demo table and the make-n-take table. I always love going to the show, seeing friends and meeting so many wonderful people. I have several pictures to share and I have some new art to share too but I am going to be out of town for a few more days so you will have to wait just a little while longer. Sorry this is such a short little post but I just wanted to check in--say Hello and I will be posting some new art and some exciting news to share with you all in the early part of next week. I hope you all have a wonderful weekend and thanks so much for stopping by!! 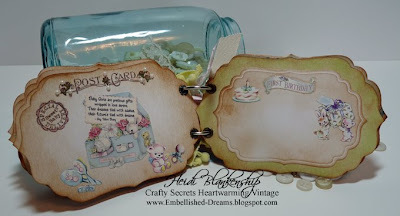 Crafty Secrets NEW Vintage Postcard Kits and a NEW Stamp Set!! 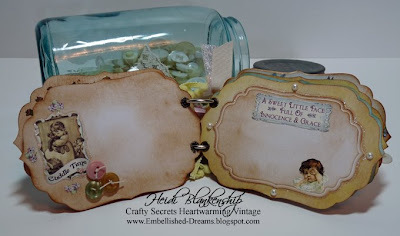 For all of you who love the vintage style you will be happy to know that Crafty Secrets has done it again and created some fun and amazingly beautiful Vintage Postcard Kits!! 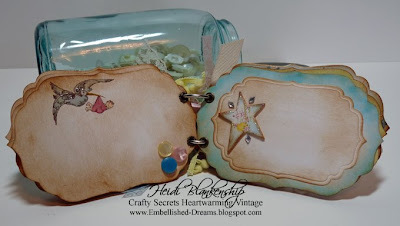 This weekend Sandy Redburn, owner of Crafty Secrets is revealing some of the Vintage Postcard Kits on the Crafty Secrets Blog and a NEW Stamp Set! Yesterday was the 1st reveal for the Baby Girl and Story Time Vintage Postcard Kits and the Thanksgiving Clear Art Stamp Set. Sandy will also be revealing the Halloween and Christmas Vintage Postcard Kits. These four Kits and others will be introduced at the 2009 CHA show in Florida, July 28th-30th!! 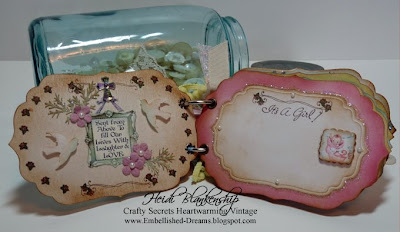 I have been having so much fun playing with these NEW Vintage Postcard Kits!! Each kit includes a Custom Clear Art stamp set, 6 Large Postcard Sized Images, 12 Smaller Image Embellishments & 18 Ivory Chipboard Pieces. 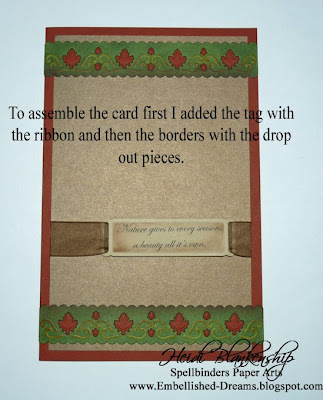 You can create postcards, garland, mini albums, ornaments & keepsakes. 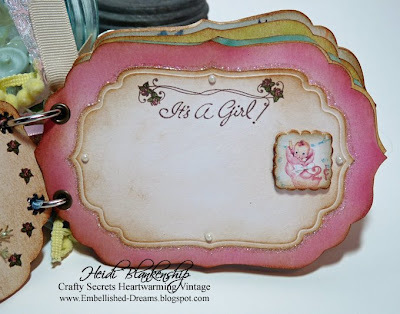 The project I am going to share with you today is a Baby Girl mini album that I have been working on and to create this sweet little album I used the NEW Baby Girl Vintage Postcard Kit. Here is the front cover of the album. To create the album here are the pieces I used from the Baby Girl Vintage Postcard Kit: 2 of the Large Postcard Sized Images, 2 of the Large Ivory Postcard Sized Pieces of Chipboard, 3 of the Smaller Image Embellishments along with the matching pieces of Ivory Chipboard and the Clear Art Stamp Set. I also used several stickers from the Baby Girl Heartwarming Vintage Sticker Sheet. The album has six pages with the fronts and backs decorated and embellished. Before I show you the album I want to show you a picture so you can see how I made the extra pages. I used the leftover piece from the chipboard as a stencil and the Copic airbrush system to airbrush the shape for my extra pages. 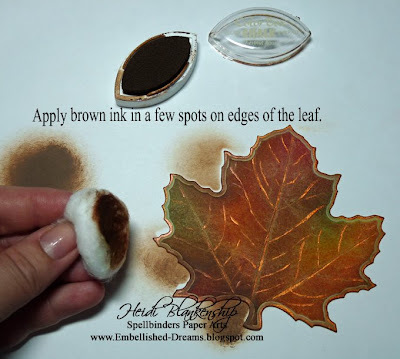 Now if you don't have an airbrush system you can use a cotton ball or a sponge with inks or trace around the image. Also, did you happen to notice the shape of the New Vintage Postcards? Does it look kind of familiar? 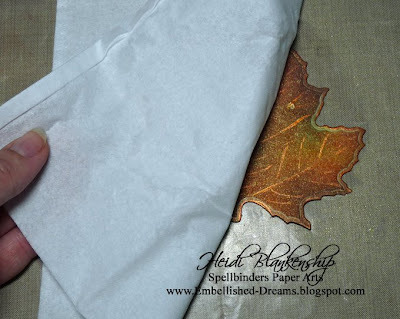 Is there a certain Spellbinders die template that it will work perfectly with? Yes there is!! 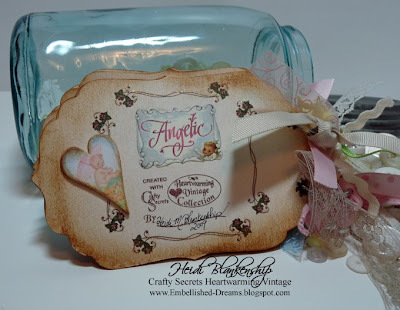 The New Vintage Postcard Kits will work with the Labels Four S4-190 die template from Spellbinders! How Fantastic is that!! I have several pictures to share with you and you can click on all of the pictures to enlarge them and see all of the detail. 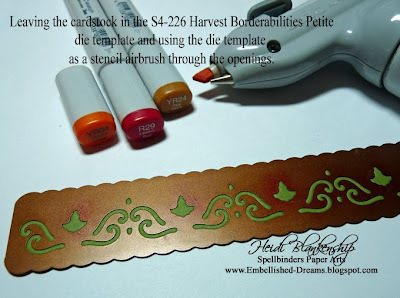 On this page I used a couple of the Clear Art Stamps that come with the kit to make the border and colored with Copic markers. 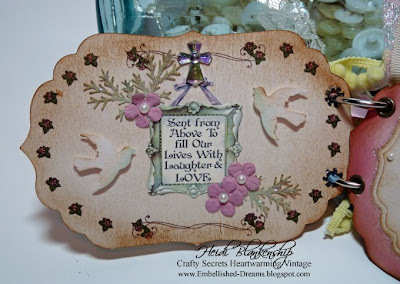 The sentiment is a sticker from the Baby Girl Heartwarming Vintage Sticker Sheet, flowers are Prima and I added a pearl to the center, the bird and fern punches are from Martha Stewart and the rhinestone cross is from Joann's. I also added glitter to the ferns. 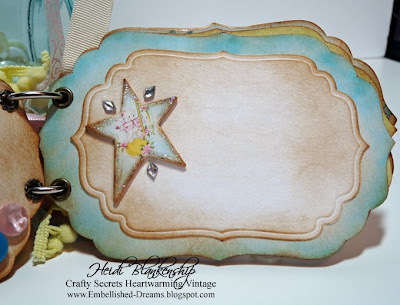 I used stamps and one of the little vintage images with the chipboard from the kit on this page. 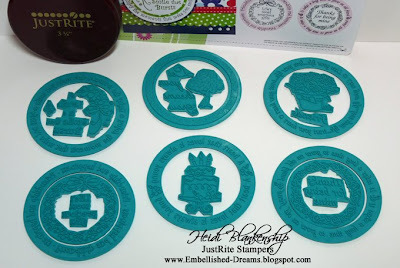 Then I also used the largest die template from the Labels Four S4-190 die template set from Spellbinders. I also added some glitter and pearls. 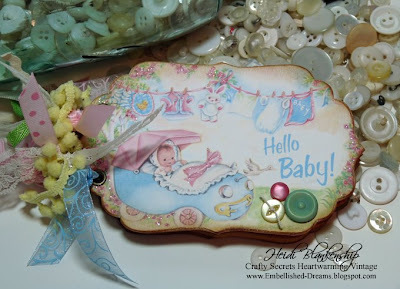 Here I used stickers from the Baby Girl Heartwarming Vintage Sticker Sheet and a few buttons and glitter. 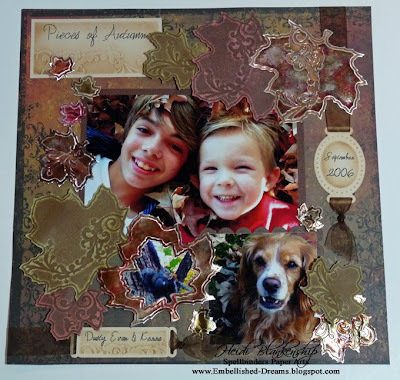 This page is almost the same as the one above but I used pearls instead of buttons and another Labels Four diecut. Here is a picture of the Stork stamp. I colored it with Copic markers and added some glitter and buttons. I love this little star! Here is another smaller image with the chipboard. I also used the Labels Four diecut and diamond shaped rhinestones with glitter. I used a couple more stamps on this page and stickers with some glitter. A few more stickers to celebrate baby's first year! Labels Four diecut and glitter. And a few more stickers with glitter! I love the Heartwarming Vintage Sticker Sheet--the stickers have so much dimension to them. Here is the last page in the mini album. I love this page with all of the places to fill in all of the baby information. For the back cover I used stamps, stickers, a small image and chipboard from the Vintage Postcard Kit. Thanks so much for stopping by today! I hope you are having a Fabulous Weekend!! 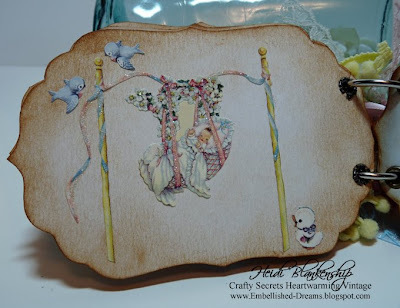 Don't forget to check out the Crafty Secrets Blog to see more releases and Beautiful projects! 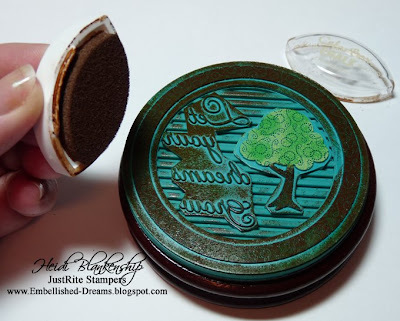 Today is another JustRite Blog Hop and I hope you will join in the fun! Here is a list of all the JustRite Design Team Members so you can check out all of the beautiful creations they have to share with you. Also don't forget to check out the JustRite Blog!! 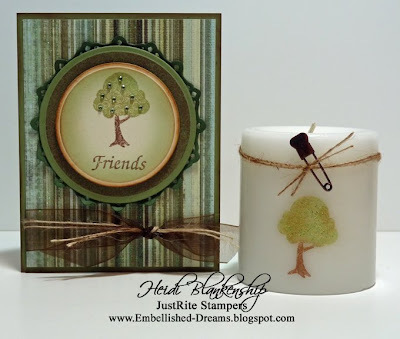 The stamp set I used for today's projects is the newly released Friendship Set and it is available for purchase. 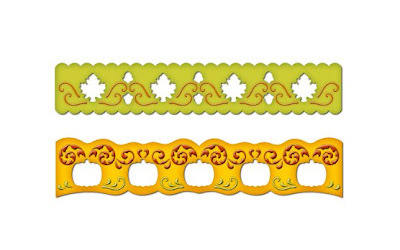 The Friendship Set contains 6 Borders & Centers measuring 3-1/4'' diameter. 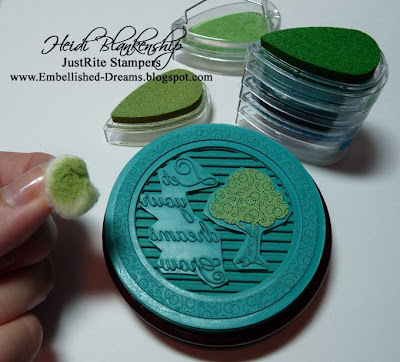 As you will notice in the Blog Hop today most of the NEW JustRite stamp sets have so many beautiful images in the centers that can be colored. I love all the new images! 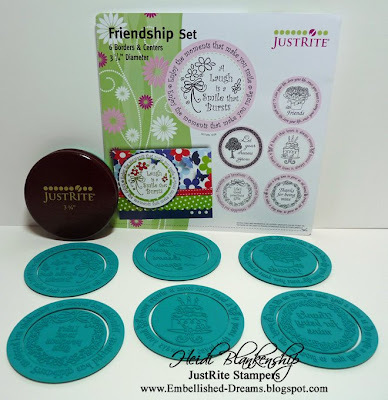 Here is a picture of the Friendship stamp set. 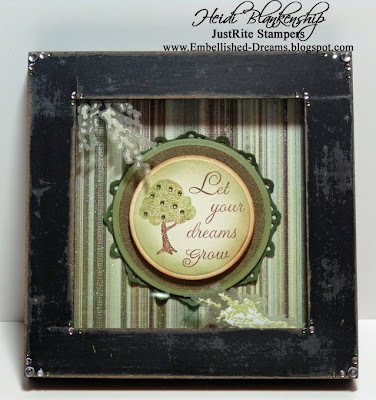 In this picture you can see the 6 Borders & Centers with the 3-1/4'' Wood Stamper. Here is a picture after I did a little cutting and trimming with the Centers. 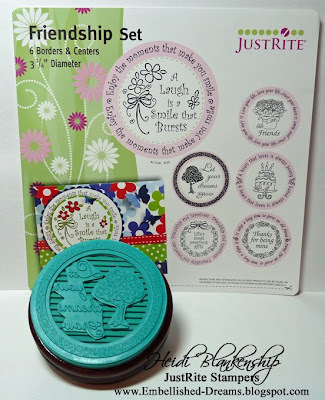 Now if you don't want to trim your stamps that is perfectly fine. I have had some people tell me they are too scared or nervous to cut the stamps for fear they might mess them up. It's really just a personal choice and I like to trim the stamps because I find I can use them in even more ways. After trimming the Centers I now have 12 stamps for the center that I can mix and match. Here is a picture of the projects I made to share with you today. 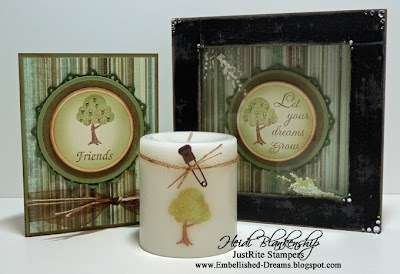 I made a framed art piece, a candle and a card for a gift set. 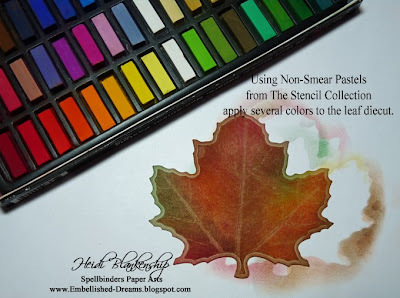 Before I get started I want to let you know that I used the same supplies (stamps, ink, paper...) for all of the projects. 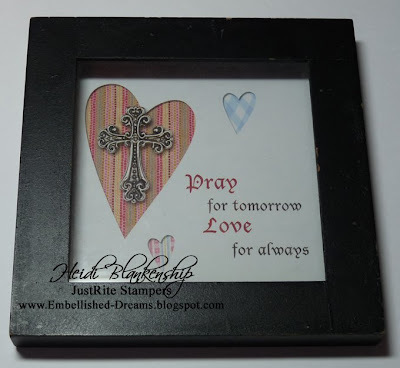 Here is a close up of the stamp image and sentiment that I used for the framed art piece and the frame before I altered it. The shadowbox frame came from the $ store. 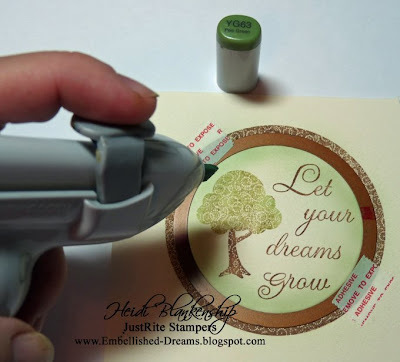 I wanted to add some depth to the tree so I applied two shades of green ink using a cotton ball. 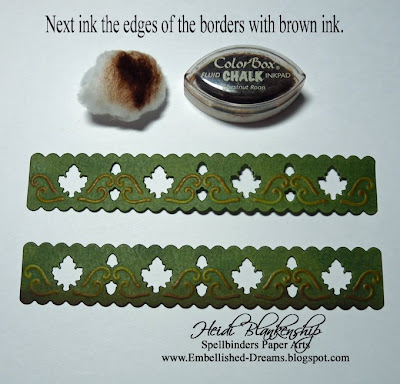 The 1st color: The 2nd color: Then I applied brown ink around the rest of the stamp. 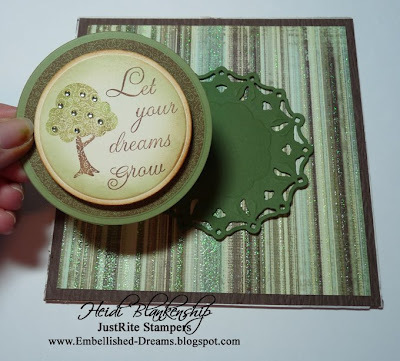 After I stamped the image I cut/embossed the center using the Wizard and Standard Circles Sm. S4-116 die template. Then I left the cardstock in the die template and used it as a stencil and colored the inside edges using the Copic airbrushing system. 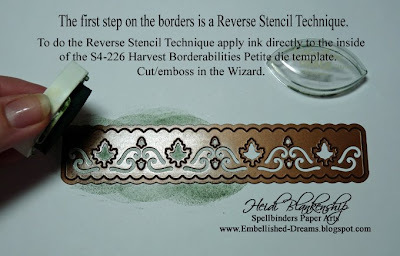 I stamped the border again with brown ink onto Medium Spring Green cardstock and then cut/embossed using the Wizard and Standard Circles Lg. S4-114 die template. I also cut/embossed the Kaleidoscope Pendant S4-207 die template for the last layer. For the background paper I used My Mind's Eye-Designer Paper Laundry Line Natural "My Boy". 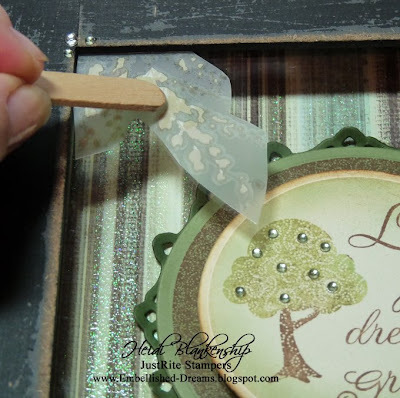 I love this paper with all of the different shades of green and brown and a little sparkle too! I also added some tiny green rhinestones to the tree and foam tape to each of the center layers. Thank you so much for stopping by today! Don't forget to check out all of the other JustRite Design Team Members blogs listed above and the JustRite Blog! I hope you enjoyed the ensemble I shared with you today using the NEW Friendship set! 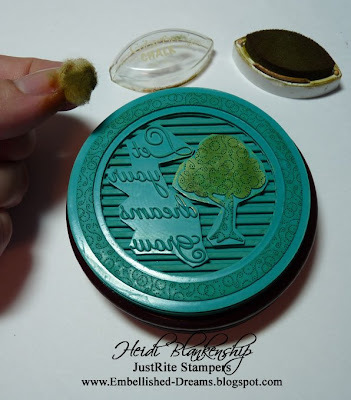 Don't miss the next JustRite Stampers Blog Hop where we will be showcasing all of the NEW Christmas stamp sets!! 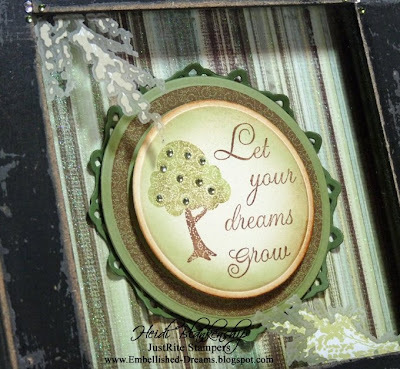 Sneak Peeks on CHA Summer Trade Show Release Dies! Commenting on this post is welcome but does *not* enter you into the contest. 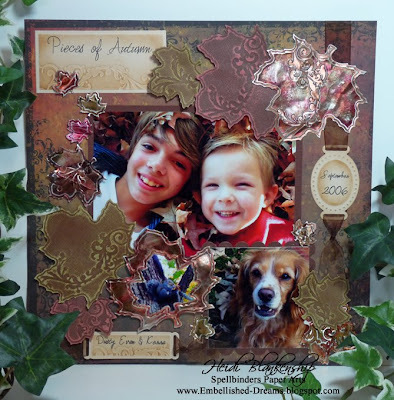 This contest is sponsored directly by Spellbinders Paper Arts. Please read the post to find directions for entering. 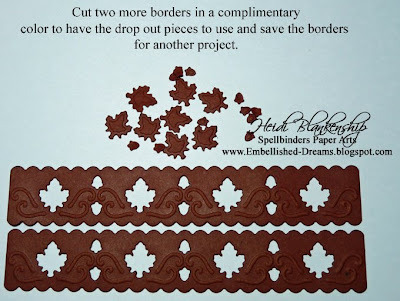 If you have any questions, please e-mail ContestQuestions@Spellbinders.us . 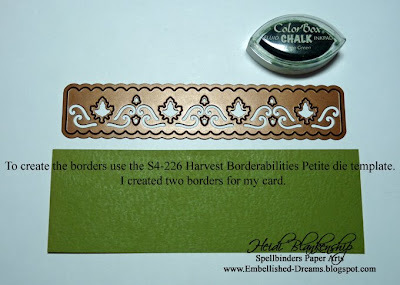 Welcome to the 6th day of Spellbinders CHA Sneak Peek Blog Frenzy! 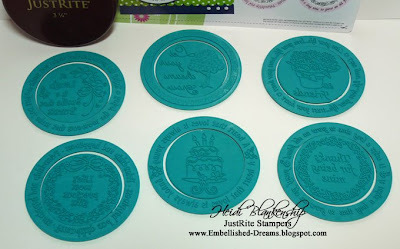 Spellbinders is revealing 17 new die templates to be released at the Craft and Hobby Trade Show on July 28, 2009, with some of their greatest fans…YOU! 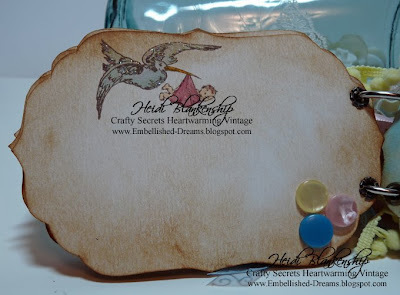 From July 9 – 22, 2009, you will have the opportunity to be a part of these world wide sneak peeks through visiting the Spellbinders designer blogs listed below and trying your luck at winning spectacular die templates! You will have a chance to win the die I’m introducing AND the dies previously revealed in this CHA Blog Frenzy by entering the contest at the end of this post. This is a progressive prize, each day the daily prize grows! Be sure to read all the rules before entering! 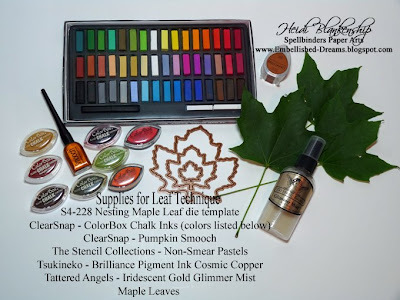 You still have until July 14th, 11:59 pm EST to enter Linda Duke's blog HERE and until July 15, 11:59 pm EST to enter mine. 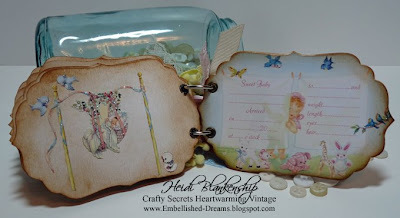 Entrants visiting all 14 Spellbinders CHA Blog Frenzy Reveals and correctly entering their information into the separate drawings, as described below, will automatically be entered into a GRAND PRIZE give away of a full set of the CHA Summer 2009 die templates and Impressabilities releases, 29 products, with a retail value of $561.71. I am very excited to share two new die template sets with you today! 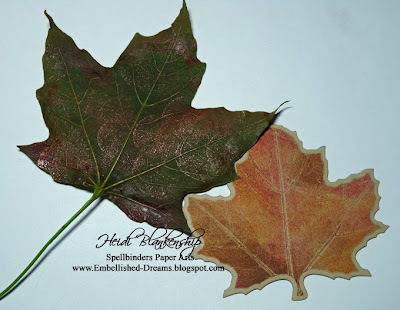 The first one is S4-228 Nesting Maple Leaf and the second one is S4-226 Harvest Borderabilities Petite. 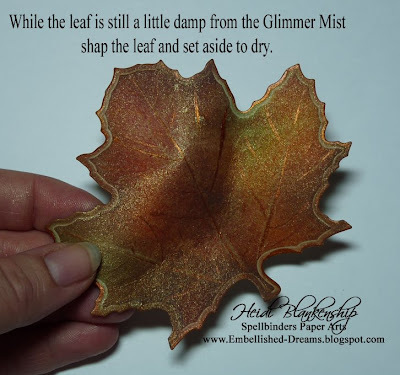 I have two projects to share with you and for the first one I have a step-by-step tutorial. 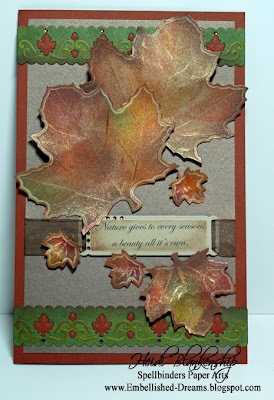 Here is the card that I created using the S4-228 Nesting Maple Leaf and S4-226 Harvest Borderabilities Petite die templates. The card measures 5-1/2'' x 8-1/2''. 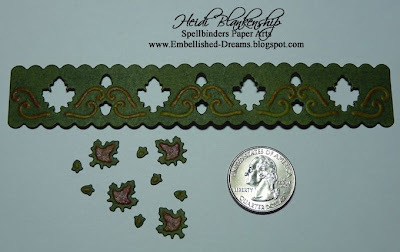 Spellbinders~ Wizard, S4-228 Nesting Maple Leaf, S4-226 Harvest Borderabilities Petite, S4-234 Ribbon Tag Trio 2 die templates. For the card I started out creating the leaves and I came up with a fun technique that will add detail and depth to the maple leaves. 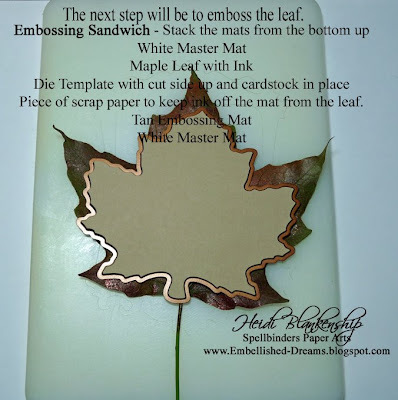 After making the diecut leave the cardstock in the S4-228 Nesting Maple Leaf die template and set aside. The next step will be inking up the real maple leaf. 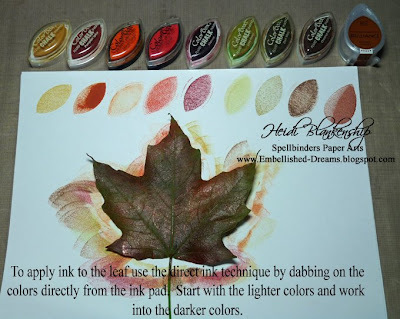 When applying ink to the leaf make sure you ink the backside of the leaf. 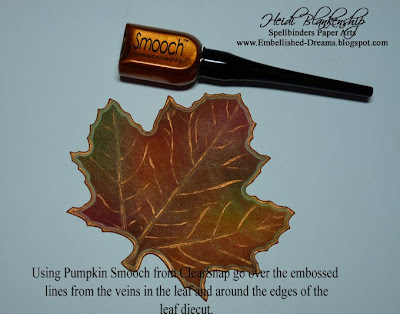 The veins are raised more on the backside and by doing this it will add more detail to the embossing and inking (letter press) on the cardstock. Here are the results you get. Now if you want to try this technique and you like this look, you could stop here or anywhere in the steps. It all depends on the amount of detail and depth you would like. 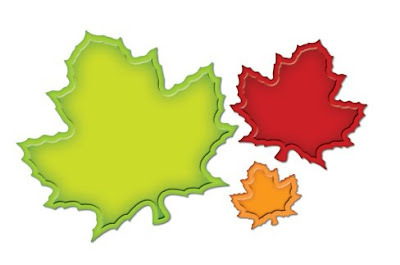 What do you think of the Maple leaf so far? It's taking on a totally different look with each step. Only a couple more steps to go! 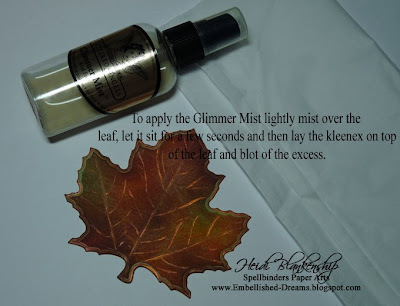 Make sure you just blot off the excess Glimmer Mist, don't rub it. Here you can see how the airbrushing looks once it's done. I placed a quarter in the picture as a comparison so you can see how small the drop out pieces are. 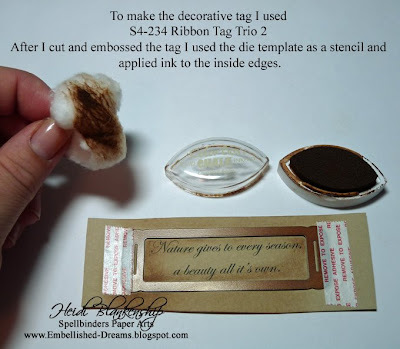 For the decorative tag I used one of the tags from S4-234 Ribbon Tag Trio 2 die templates. Now that I have all of the pieces cut and ready to go the card can be assembled. Here is another picture of the card at a different angle so you can see more of the effects from the Glimmer Mist. 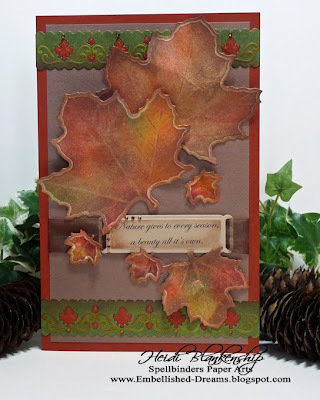 For my second project I created an Autumn layout using the S4-228 Nesting Maple Leaf, S4-234 Ribbon Tag Trio 2 and S4-144 Long Classic Rectangles Small, S4-126 Classic Square Large, S4-127 Classic Scalloped Square Large die templates. PLEASE Don't forget to read the Rules below. 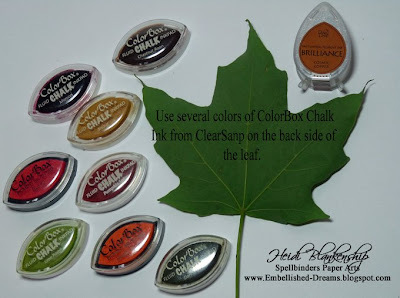 Any participant wishing to be included in the daily drawing for the Spellbinders CHA Blog Frenzy give-away must adhere to all of the following rules. We are happy to welcome US and international blog guests for this Frenzy. To enter each drawing on sneak peeks between July 9 and July 22, visit the reveal blog and click on the contest link to reveal an e-mail window. In the subject line of the e-mail, enter the die template name being revealed. Each blog reveal will remain open for 48 hours. Only 1 entry per blog is allowed and participant must use the same email address daily to be considered for grand prize entry, no exceptions. Please consider whether you will have access to the same e-mail address from July 9^th through July 22^nd and plan accordingly. 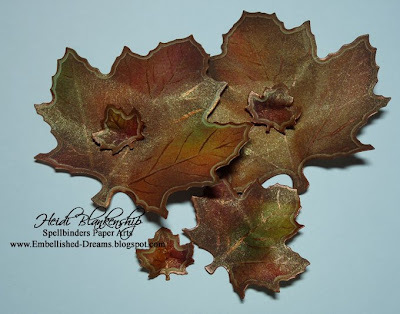 Any participant wishing to be automatically entered into the drawing for the CHA Blog Frenzy Grand Prize must enter all 14 blog reveals and follow all the above rules.